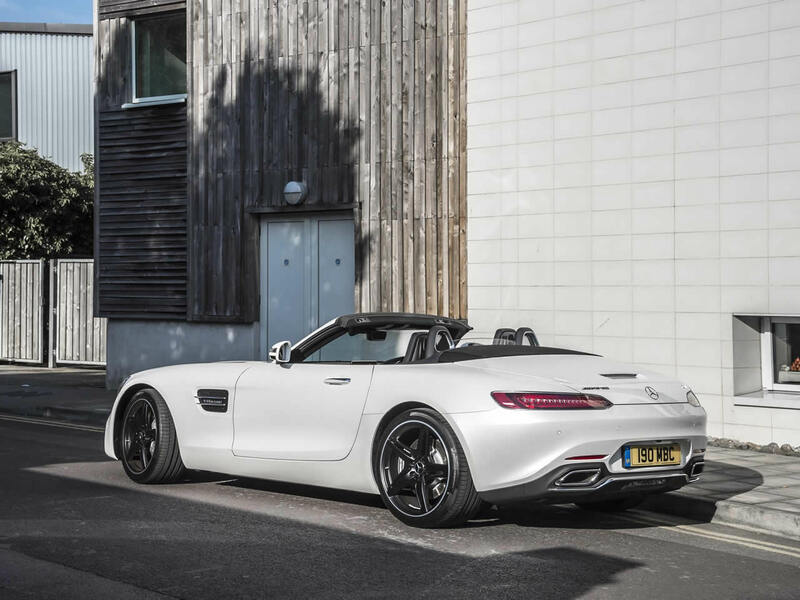 The Mercedes-Benz AMG GT Roadster picks up where the old SLS AMG Roadster left off. On face value they are similar cars, based on the same chassis, both very wide, with a long bonnet and a brutal V8 mounted well back underneath. The character of the GT is quite different, however. 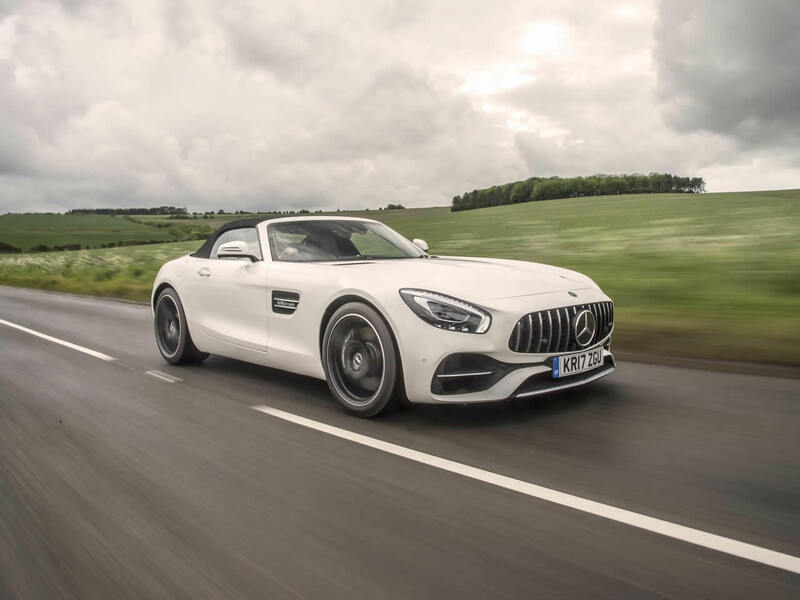 The SLS was a classic AMG muscle car but the GT has a balance that makes it a much more precise suer-sports car. It is controlled and communicative through complex bends and when pushed to its limits where the SLS would have been all smoke and wheelspin. The convertible AMG GT comes in two distinct versions: the standard Roadster and the GT C which comes with more power, a more aggressive set-up, a wider rear-end and four-wheel steering. 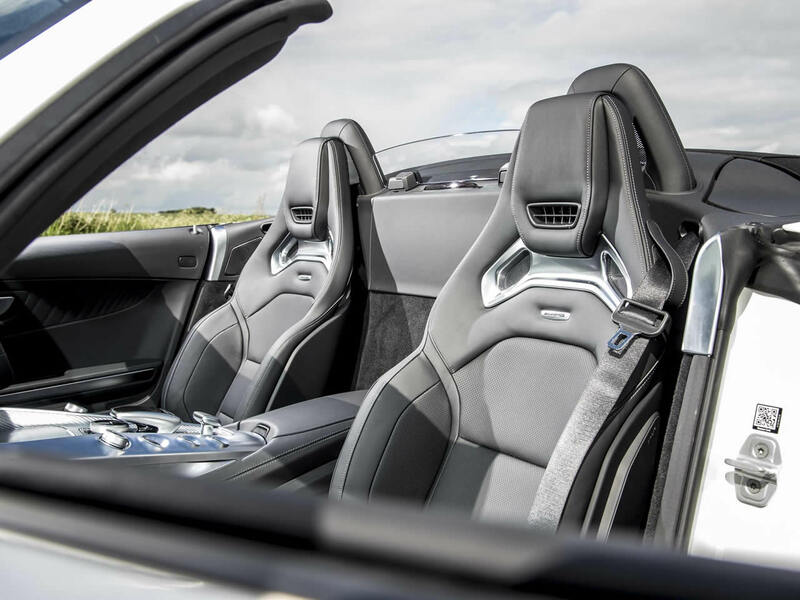 The GT C has numerous extra features and is clearly a more focused car. 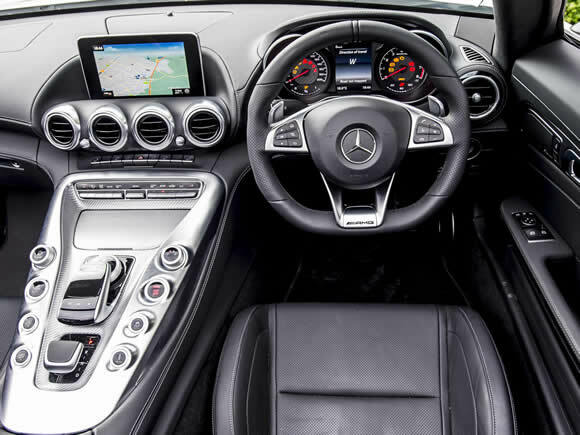 The steering setup makes an already agile car extremely direct to a point where it seems to anticipate your movements. 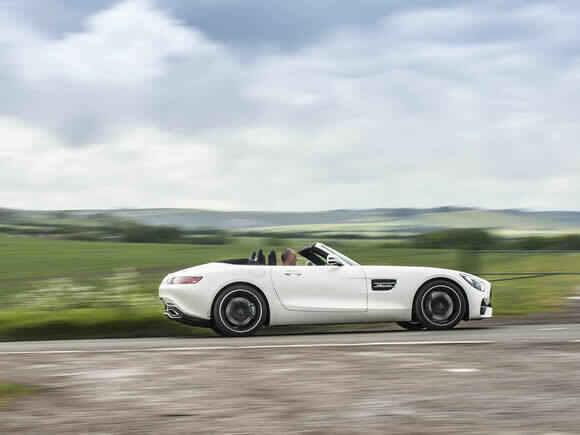 Most drivers will find the standard AMG GT Roadster more than enough for their driving abilities. The GT C really needs a race-track to safely show off its capabilities. In either car, the wonderfully flexible engine is as composed around town as it is aggressive on the track. The gearbox is fast and smooth, a marked improvement over those in the early coupes. The chassis is reinforced to retain stiffness, yet remains light thanks to specialist materials. The fabric roof also has a lightweight frame and can be operated in just 11 seconds and at speeds under 31mph. 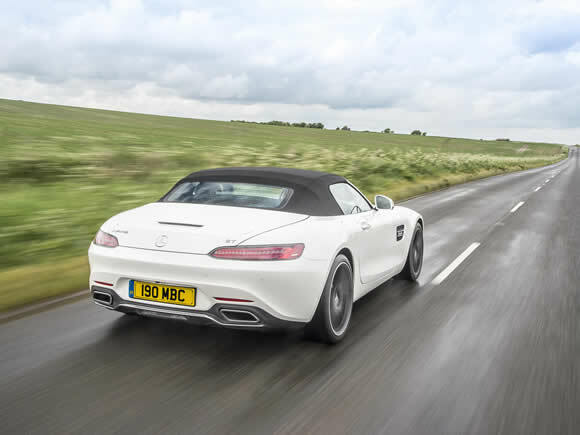 The long bonnet and wide track can be tricky to manoeuvre around town but make the GT feel special on the open road. Do you drive a Mercedes-Benz AMG GT Roadster? Would you recommend it to others? Start the conversation and let us know what you think of the car.